Gary Carroll - Has tasted big race success with Invincible Ash in the Group 3 Woodies DIY Sapphire Stakes, Lily's Angel in the Group 3 Betfred.com Chartwell Fillies' Stakes, Convergence in the Group 3 Ballycorus Stakes to name a few. Sean Corby - Has yet to win a major race. Ben Curtis- Has tasted big race success with Nakuti in the Listed Wetherbys VAT Services Pipalong stakes & Group 3 T.B.A. Atlanta stakes, What A Charm in the Listed Ladbrokes Listowel stakes to name a few. Joe Fanning - Has tasted big race success with The Last Lion in the Group 1 Juddmonte Middle Park Stakes, Darasim in the Group 2 Prix Kergorlay, Shamardal in the Group 2 Veuve Clicquot Vintage Stakes Class A to name a few. Adam Kirby - has tasted big race success with Harry Angel Group 1 Darley July Cup, My Dream Boat Group 1 Prince of Wales Stakes, Profitable Group 1 King's Stand stakes & Reckless Abandon Group 2 Norfolk stakes to name a few. Killian Leonard - Has yet to win a major race. Luke Morris - Has tasted big race success with Marsha in the Group 1 Qatar Prix de l'Abbaye de Longchamp and the Group 1 Coolmore Nunthorpe Stakes, Gilt Edge Girl in the Group 1 Qatar Prix De L'Abbaye De Longchamp to name a few. Oisin Murphy - has tasted big race success with Blond Me Grade 1 E.P.Taylor stakes, Aclaim Group 1 Qatar Prix de la Foret, Highland Colori Ayr Gold Cup, Pallasator Group 3 Henry II stakes to name a few. Donnacha O'Brien - Brother to Joseph, Sara and Anastasia, he rode 2 winners for Joseph on his first day as a licensed trainer with Justice Frederick and Zig Zag. His biggest race success' have come with Order of St. George in the Group 3 Palmerstown House Estate Irish St.Leger Trial Stakes and Intricately in the Group 1 Moyglare stud stakes . Colm O'Donnoughe - Has tasted big race success with Spartacus in the Group 1 phoenix stakes, with Astronomer Royal in the Group 1 Poule d'Essai des Poulains and Jan vermeer in the Group 1 Criterium International and the Grade 1 Canadian International to name a few. Sean Flanagan -Has tasted big race success with Merry Cowboy in the Grade 2 Guiness Greenmount Park Novice chase, Voler La Vedette in the Grade 3 I.T.B.A. E.B.F. Mares Hurdle, Disko in the Grade Flogas Novice chase to name a few. 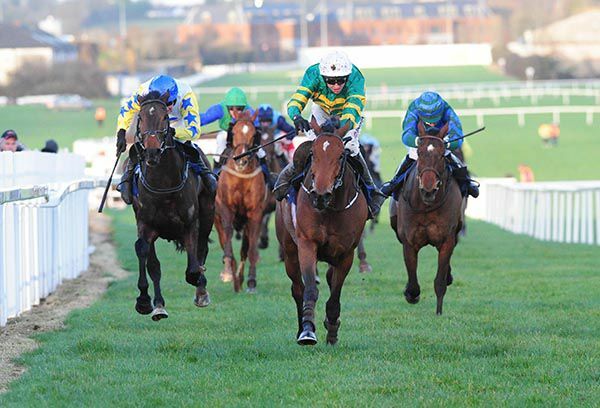 Davy Russell – Irish Jump Racing Champion Jockey 2011/12 and 2012/13. Has had a lot of big race success with Thyne Again winning the Arkle in 2008. Aintree Hurdle with Solwhit in 2009,The 2010 RSA with Weapons Amnesty and the 2014 Gold Cup with Lord Windermere. Also associated with Windsor Park, War of Attrition and Forpadydeplasterer. Shane Shortall - has tasted big race success with Road To Riches Grade A Galway Plate(Chase) and Shrewd in the Listed Scottish County Hurdle. 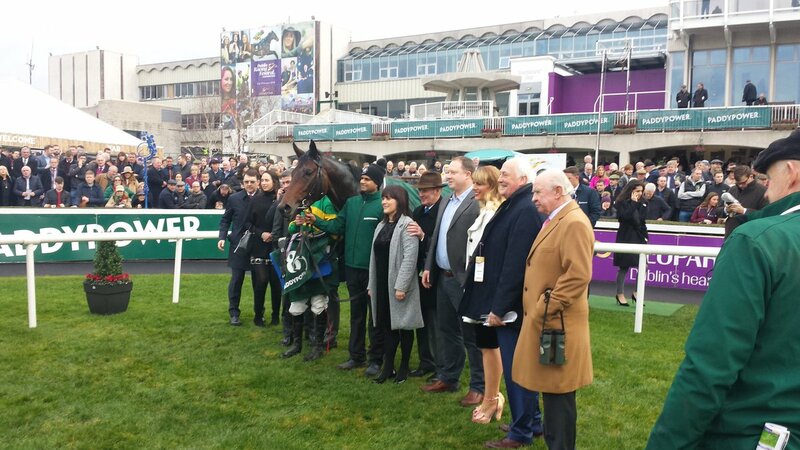 J J Slevin – Has tasted big race success with Moylisha Tim in the Grade 3 Paddy Power Acca Insurance EBF Fund Novice Hurdle in 2015. 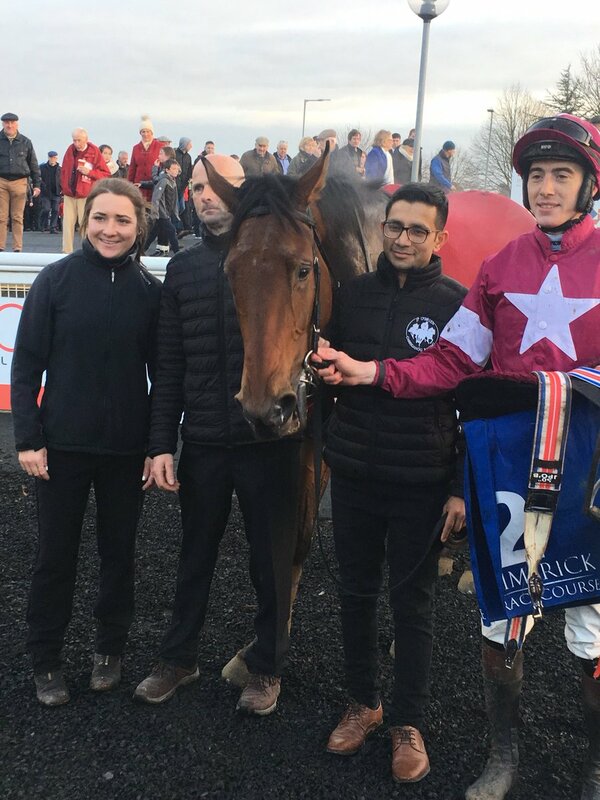 J P McManus, Joseph O'Brien and Mark Walsh combined for a second win on the day at Punchestown with Gardens Of Babylon (7/1) in the Small Stakes Big Wins With Tote 3-y-o Maiden Hurdle. This big field two miler was opened up with the departure of 13/8 favourite Fenta Des Obeaux at the first flight. Plenty still held claims in the straight but twice raced Ballydoyle recruit Gardens Of Babylon quickened up smartly from the last to take the honours by half a length and three lengths from Surin (6s into 9/2) and Way Back Home (7s into 5s). Surin is owned by Gigginstown House Stud and they also had the fourth and seventh, Lignou and Star Max. “He did well to win because it was only his third run ever and I thought he'd probably come on a bit from it,” commented O'Brien on the winner, a son of Camelot. “It was nice to see him go and do that. He jumped well. They went slow and got racing in front of him but he went and got them in fairness to him. “There is a winners race in Fairyhouse and you also have the graded race at Leopardstown. We'll see. “I thought he went to the line well. He hadn't run for a long time and he'd be entitled to come on for it. Shady Operator (11/4 into 7/4 favourite) got many punters off to a winning start in the Tote Supporting Irish Racing Beginners Chase at Punchestown. Willie Mullins' pair Ballyward and C'est Jersey gave the J P McManus-owned and Joseph O'Brien-trained winner most to do but they eventually had to give best to the market-leader. C'est Jersey stumbled on the run-in after being headed at the last and Shady Operator got there in time to 'short-head' Ballyward. C'est Jersey ended up three and a half lengths back in third. “He did well to win because he missed the last three and he had a bit of traffic as well,” said O'Brien. “Mark was very happy with him and he jumped very well on the whole. It was his first time going the trip and I'd say he stays every yard of it. “I'd say he'll step into a graded novice now, probably around that trip again. 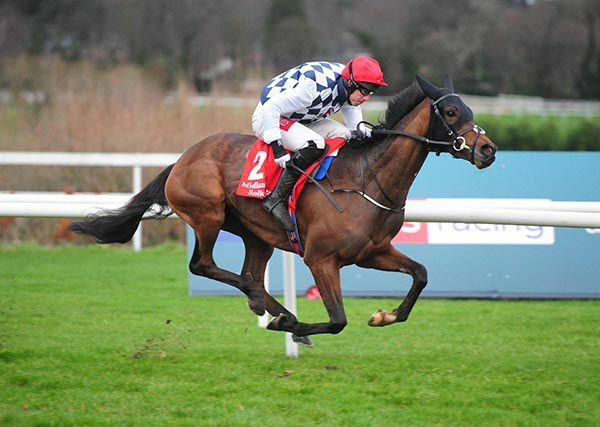 Ash Hill, the even-money favourite) made all under Derek O'Connor in the concluding bumper at Leopardstown. The four-year-old gelding, owned by Ronnie Bartlett, asserted in the final furlong and a half and had the race won passing the furlong pole. He kept on strongly to beat gambled-on The Blame Game (from as big as 25/1 in the morning to 6/1) by five and a half lengths. Joseph O’Brien said: “He had a nice run first time out and Derek (O'Connor) gave him a good ride and kept things simple. It’s great to have my first winner for Mr Bartlett. “Derek wanted to get him to do things right in Punchestown which he did and we were able to ride him a bit handier today. Smoking Gun gave Joseph O'Brien an across-the-card double when getting up close home in Limerick's rated novice hurdle. He drew alongside Veneziano Springs turning for home and held a narrow lead at the penultimate flight. He didn't jump the last at all well, though, and landed on all fours as Veneziano Springs regained the initiative. However, Shane Shortall got into the drive position and got his mount up by half a length. Veneziano Springs was second at 5/1 with Ming Dynasty seven lengths further adrift at 6/1. Jockey Shane Shortall said: “He jumped and travelled well. Myself and Puppy (Robert Power) stayed out wide and he was game down the straight. “He jumped the second last well, completely made a hash of the last but rallied well and won nicely in the end. Joseph O'Brien's Sir Erec got the better of Tiger Tap Tap at the end of an eventful three-year-old maiden hurdle in Leopardstown. Some 28 horses went to post but four horses fell, one slipped up and one unseated rider. The 11/10 favourite arrived at the last between Bachelor on his inner and Tiger Tap Tap on his outer but it became a two-horse race when Bachelor crashed out. Sir Erec and Mark Walsh got away from the final flight that bit quicker than Tiger Tap Tap (5/2) but the latter refused to go away and battled along the run-in before going down by a neck. 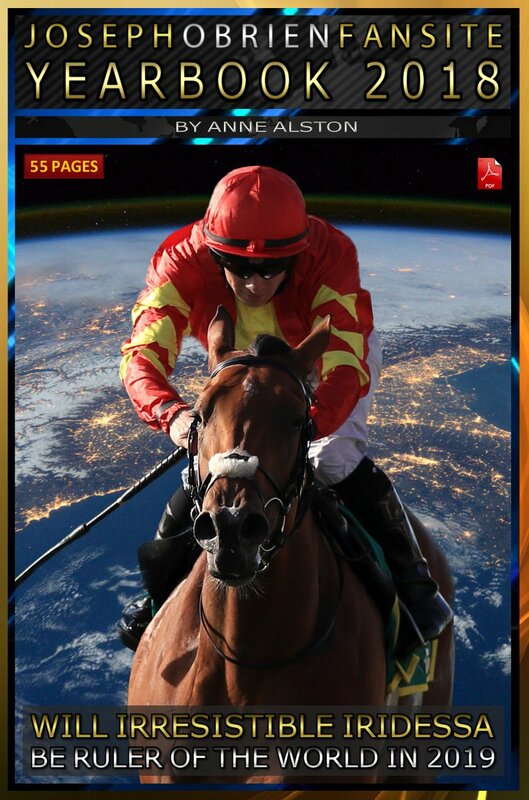 There was an eight-length gap back to Nibiru in third at 33/1. Joseph O'Brien said: “He was obviously a decent horse on the Flat and he jumped well. His jumping will come on a nice bit for that. “I was a bit nervous before the race because there was a really strong word for the second. “I'm delighted to see him do that and he was tough from the back of the last when he had to be. “Every horse in the race would have done loads of jumping but there were four or five fallers. “You can only do as much as you can at home and then they have to go and run. He had always schooled nicely so it's nice to see him go and win. “The ground has been so good for so long that maybe a lot of horses didn't do as much schooling as they would have other years. 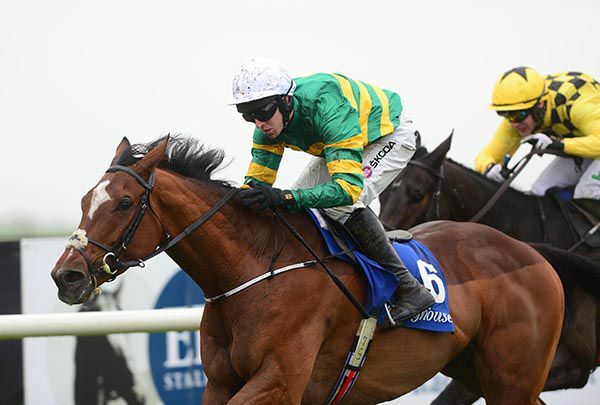 Sir Erec won at Listed level on the Flat for Aidan O'Brien and was also third in a Group Two at Ascot in October. This was his first crack at hurdles. Le Richebourg got his Grade 1 reward over fences at the second attempt when leading home a 1-2 for trainer Joseph O’Brien in the Racing Post Novice Chase at Leopardstown. 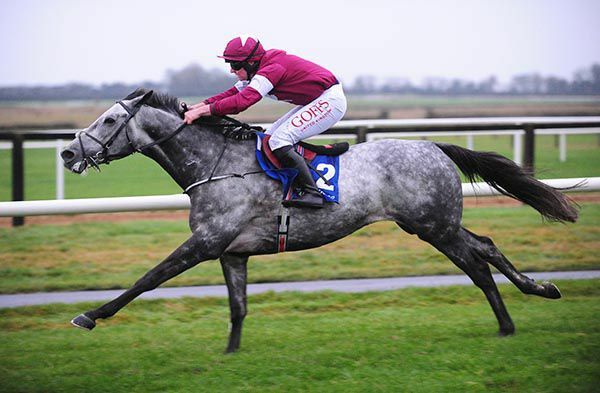 Beaten only half a length by Delta Work in the Drinmore at Fairyhouse after being successful on his first two starts over the bigger obstacles, the JP McManus-owned six-year-old returned to winning ways in style. Mark Walsh had Le Richebourg (3/1) close to the pace which his stablemate Us And Them helped make, while the 7/4 favourite Mengli Khan was held up towards the rear. Though he tried to close, Mengli Khan did not have the pace to threaten and Le Richebourg shrugged aside Us And Them to score by four and a half lengths. Voix Du Reve was third, with Mengli Khan only fourth. O’Brien said, “Mark gave him a lovely ride and he jumped very well. The last day he ran a cracker, but I think the tempo of a two-mile race probably suited him better. 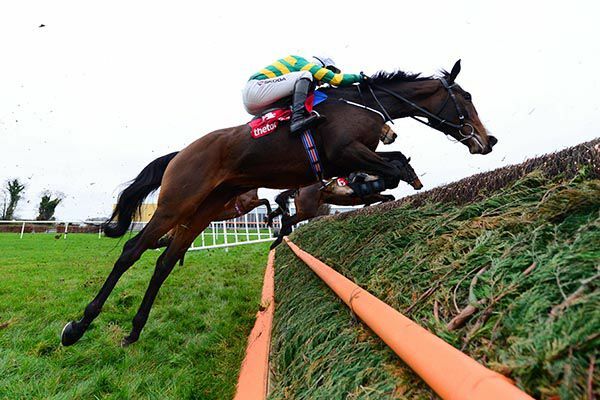 “He was good over hurdles, but probably disappointed us slightly and since he’s gone over fences he’s been very good. 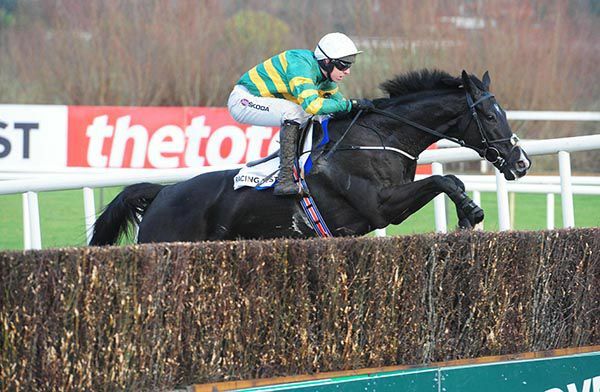 Le Richebourg was given quotes of 12/1 by Betfair, 9/1 with Paddy Power and cut into 8/1 from 20/1 with Boylesports for the Arkle Trophy at Cheltenham in March. 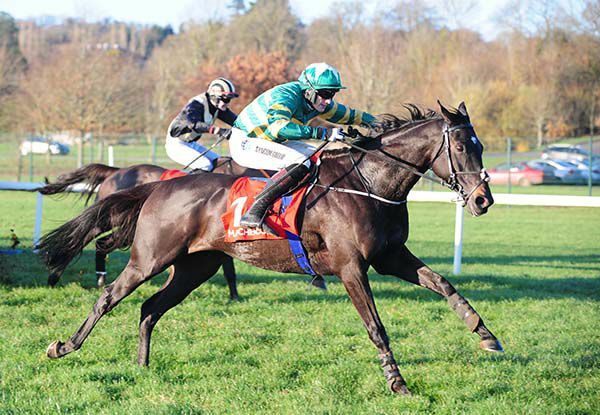 The Joseph O'Brien trained Band Of Outlaws improved on a poor round of jumping at Cork recently to win the opening Greenmount Equine Hospital 3YO Maiden Hurdle Limerick today, under jockey JJ Slevin. 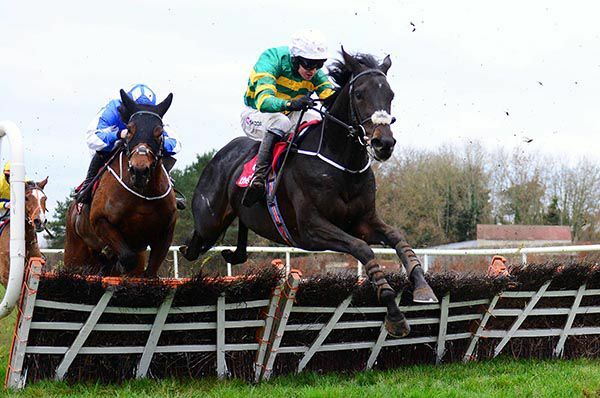 The son of Fast Company managed to finish a fast-finishing third at Cork on hurdles debut on December 9 despite not jumping with any fluency and today jumped much better before quickening past leader Future Proof on the run-in, for a three part of a length win. Afterwards jockey Slevin, a cousin of the winning trainer, stated “he has got his jumping together and jumped very well. He ran a great race at Cork the last day but didn't jump so well and he learned from that. The Crowne Plaza Race & Stay Maiden was subject to a 25-minute delay after floodlight failure but when power was restored newcomer The Game Of Life stormed home on debut for Joseph O'Brien. He was second-last turning for home and was soon pushed along. The son of Oasis Dream was switched inside and ridden a furlong and a half out and made eye-catching headway to close at the furlong pole. He really hit his stride to pick off the leaders inside the final 150 yards and galloped on strongly to prevail by two and three quarter lengths at 7/1. Seamie Heffernan said: “He’s very well bred. Joseph said he thought he was a nice horse and he hadn’t overfaced him. He felt he’d improve from the run. Following on from At Your Ease half-an-hour earlier there was another J P McManus-owned victor of race six at Naas, Punches Cross (5s out to 7s) taking the Paddy Power "Live Stream All Irish Racing On Our App" Handicap Chase. Arthur Moore and Barry Geraghty combined in the training and riding roles with At Your Ease, but it was Joseph O'Brien and Mark Walsh that teamed up with top-weight Punches Cross. On his first foray in a handicap chase, the victorious Stowaway gelding was one of three battling it out from before the last. Shedding his maiden tag at the tenth time of asking, Punches Cross was too strong for Well Tom and Jimmyjames on the run-in, crossing the line with three and a quarter lengths and a length in hand. “He's a bit of a tricky fella and he's had 101 chances,” said O'Brien. “In fairness to him he jumped well today. They went quick and the race was run to suit him. “He's been disappointing in fairness but things just worked out for him today. “They were coming back to him and he was sneaking away. The stiff finish probably suited him. Joseph has a new 2 year old Easy Come Easy Go & 3 NH horses The Game Of Life, Fight For The Roses, & Gipsy Lee Rose. "I thought he ran well enough - he has come a long way in a short time. I got back a bit and he was slow to muster. It has been a long season for him and he will be better next spring. He was checking off heels in the early part of the race and certainly could have done with a smoother run. He is a horse with a lovely action and finished off fairly." Embittered showed a nice attitude to take the last at Punchestown this afternoon, the Old House, Kill (Pro-Am) INH Flat Race. Having unseated on debut in a point-to-point at Loughrea in May, the son of Fame And Glory since finished third Inch. Making his debut for Joseph O'Brien today, the Gigginstown House Stud owned bay opened on-course at 11/2, before going off a 9/2 chance. Settled towards rear by Tom Hamilton, he made progress into mid-division from four furlongs out, and came with his effort on the outer from early in the straight. He was ridden to the front with just over a furlong left to race, keeping on well from there to score by two and a half lengths. The 4/6 favourite Santana Plessis, who was briefly short of room turning into the straight, finished second under Jamie Codd for Gordon Elliott, while Cenotice (5/1) was another head back in third. "He's a lovely horse. He picked up well, he'd had two runs in point-to-points before Joseph got him and he'd been working nicely so that was a great start," said Hamilton. "He's a lovely horse going forward and he's only going to improve from that." Latrobe faces a race against time. Irish Derby winner Latrobe must pass a final vet inspection on Sunday morning if he is to run in the Group 1 Hong Kong Vase later that day. Joseph's runner, arrived in Hong Kong after a successful stay in Australia where he finished a head second in the Group 1 Mackinnon Stakes. 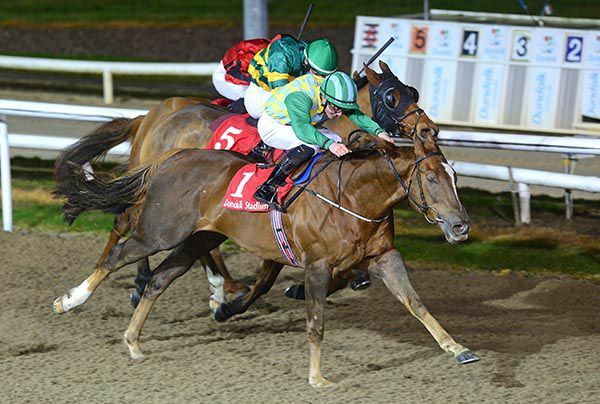 Champion Jockey Donnacha O'Brien returned to action at Dundalk this evening when winning the www.dundalkstadium.com Handicap on his brother trainer Joseph O'Brien's King's Field, on his second ride back from a 39 days break. O'Brien finished up for the 2018 flat turf season at Galway races on October 29 with 111 winners, 12 of which came at the Co Louth venue, and today returned in fine style, finishing second in an earlier maiden on Roger That before winner King's Vow beat stablemate Equitant to lead home a 1-2 for trainer Joseph O'Brien. Donnacha O'Brien later commented “he did it well. He broke a bit slow but they were going quick so I just took my time on him. 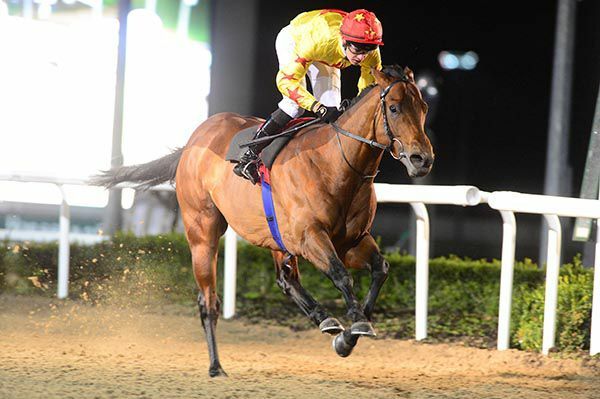 Can Joseph continue his winning streak at Dundalk? Joseph O’Brien's powerful team are in red hot form at present, and he looks the man to follow at Dundalk again this evening with a total of seven runners. The 25-year-old Piltown trainer set a new record of 34 winners in a calendar year on the Polytrack with a treble here last Friday and will be hoping for something similar at the latest stage of the winter series. 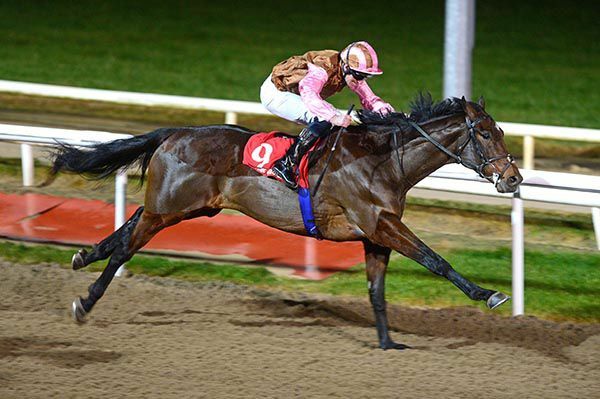 O’Brien also has a couple of reserves on the programme, and this year’s Irish Derby winning handler launches a particularly strong bid for the featured www.dundalkstadium.com Handicap with King’s Field and Equitant. 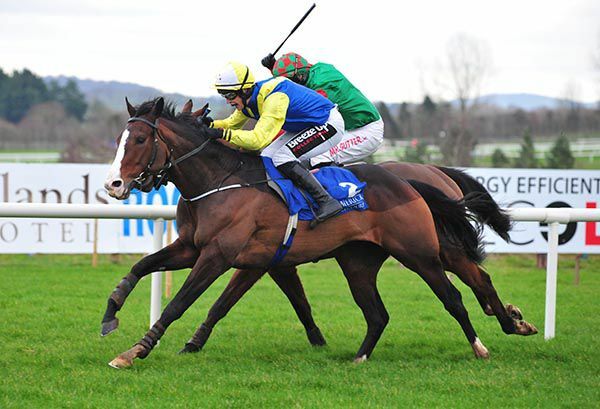 This pair certainly will not lack for assistance from the saddle with champion jockey and the trainer’s brother Donnacha aboard King’s Field, and the leader amongst the apprentice brigade, Shane Crosse, will steer Equitant. Equitant is going for a fourth win in a row, having started the sequence when with Richard Fahey at Chelmsford City in October. The handicapper is making it more difficult for the three-year-old but perhaps there is even more to come from the chestnut. 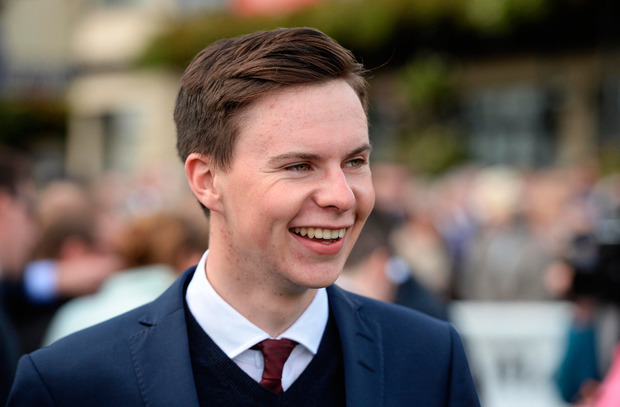 It is easy to forget that Joseph O’Brien only officially started training in 2016 and he began as he was to continue with four winners on his first day with runners. 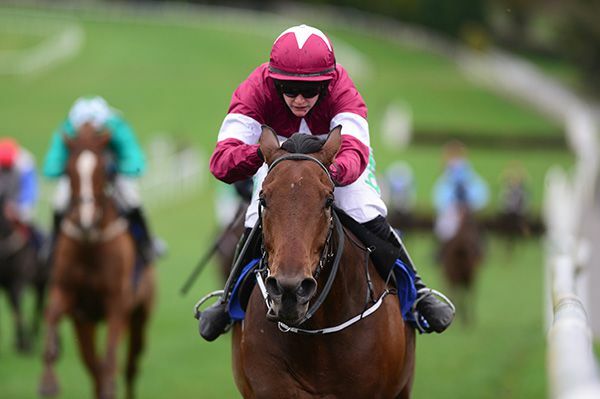 Jockey’s championship leader Rachael Blackmore landed the opening Clonmel Maiden Hurdle on the Gigginstown House Stud-owned and Joseph O’Brien-trained Smoking Gun (6/4 out to 9/4 favourite). It could have been different if runner-up Makka Pakka (6/1 into 7/2) had jumped better but Smoking Gun (off a 284 day break) was going away at the finish for a three length win. Blackmore wasn’t long about pouncing on the Gold Well gelding along the stand’s rail from the back of the last and the principals were a length and three parts ahead of Getaday (7/2 from 9/2 on track and bigger earlier). T J Nagle’s Getaday was ridden by Paul Townend, and the former champion is now two behind Blackmore at the head of the 2018/19 table. "He was just starting to gallop for me and I thought if I got a good jump at the last he had a chance. He is a little bit backward and is learning all the time and should learn from that," said the winning rider. "The step up in trip should help" and Joseph said the same thing to me this morning. Joseph O'Brien continued his blistering form with a four-timer on the opening day of the Winter Festival at Fairyhouse that paid 714-1. Desir Du Large (3-1) readily drew clear approaching the final furlong in the bumper and came home by five lengths in the hands of Tom Hamilton to put the seal on a terrific day for O'Brien. Valdieu (7/4f) was picked off by Desir Du Large in the final quarter of a mile and had no answers as he came in five lengths behind. This was O'Brien's ninth winner in two days - he had two winners at Limerick yesterday afternoon and three in the evening fixture at Dundalk. 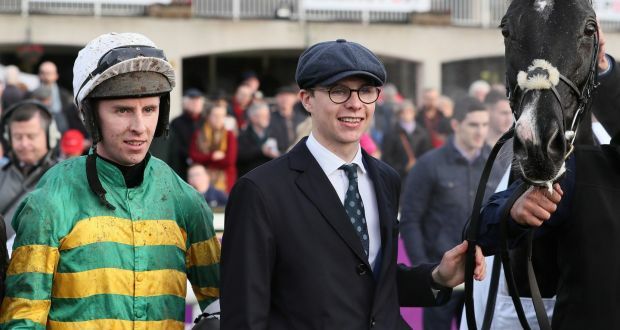 Joseph O'Brien continued his blistering form with a treble that paid almost 178/1 on the opening day of the Winter Festival at Fairyhouse. 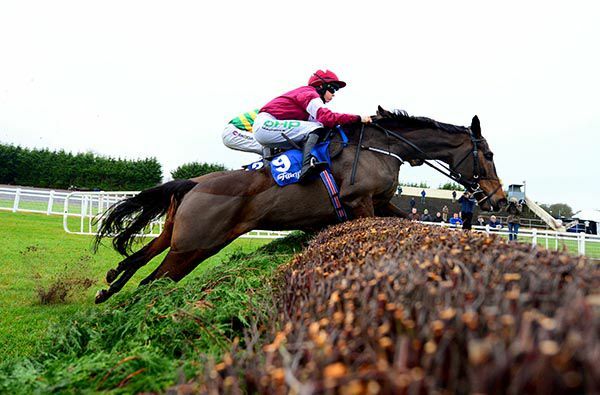 Jack Dillinger brought up O'Brien's third winner on the card in the rated novice hurdle over two and a half miles. The seven-year-old gelding made headway between horses two out and swept by Jack Fiasco approaching the last. He wasn't fluent there but stormed home on the run-in to win by seven lengths at 4/1. Court Tycoon (11/2) came through for second in front of Jack Fiasco at 9/1. Joseph O’Brien said: “He was fighting for his head a bit in Clonmel the last day but he settled great today. He’s a horse with a big engine when things fall right, and his form before was very good. “I’m delighted for Stanley (Watson) and Michael (O’Flynn) and it’s the first horse I’ve had for them. He settled so well today that you could go any trip with him. Lone Wolf collared Defy De Mee on the run-in to take Fairyhouse's two and a quarter mile maiden hurdle with Mark Walsh in the plate. Defy De Mee held a healthy six-length lead rounding the home turn with 6/5 favourite Column Of Fire and Lone Wolf chasing in second and third respectively. Lone Wolf moved into second entering the straight and the 9/4 shot made relentless headway to close at the last. He always looked like he was going to catch Defy De Mee who gave best in the final 100 yards. The easy-to-back 9/4 shot hit the line a length and a quarter to the good from the 14/1 runner-up. Column Of Fire, who was very strong in the market, could make no impression on the front pair and had to settle for third, a further three and three quarter lengths away. Joseph O'Brien, who was saddling a double, said: “He did well because it looked like Willie’s horse (Defy De Mee) had got away. He jumped well and Mark said he settled well for him. “Sarah bought him as a store (for 33,000 euro). He’s a big, good-looking horse and he has an engine. He’ll jump a fence eventually, and hopefully he’ll make a nice hurdler as well. “He’d have no problem going two and a half but I thought he showed pace from the third last up to the line. It’s hard to make up ground when something gets away from you like that. I was quite impressed with him. O'Brien also won the opening race on the card through Mortal. Fairyhouse's Winter Festival got off to a sensational start as Mortal beat Any Second Now after a titanic struggle in the beginners' chase. Mortal led turning in for this extended two mile five test as Any Second Now moved into a threatening position in second. Any Second Now drew alongside his rival after the penultimate fence and the pair were locked together jumping the last. Any Second Now took a narrow lead for Mark Walsh on the run-in but Mortal battle back gamely under Rachael Blackmore to get up by a neck in the closing stages. The winner was returned at 10/1 having attracted plenty of support in the morning at 14/1. The runner-up went off 5/2 joint favourite. The leading protagonists drew 15 lengths clear of Cherokee Bill at 20/1. Trainer Joseph O’Brien said: ‘He won very easy first time out and we loved him. He didn’t win his maiden hurdle, although I always pitched him in deep enough because we thought plenty of him. “Chasing was always going to be his game and he jumped well and Rachael gave him a lovely ride. I didn’t think I had enough done with him to win first time but they didn’t go very quick and that probably helped. I’d say he has a big engine. 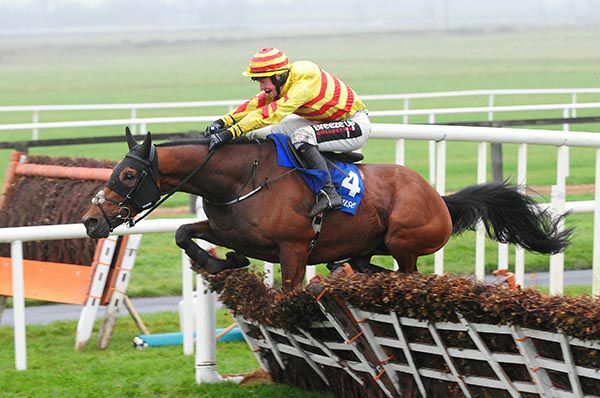 All The Answers jumped notably well at Cork — which should stand him in good stead for a step up in class in today's Grade B EasyFix Handicap Steeplechase at Fairyhouse. 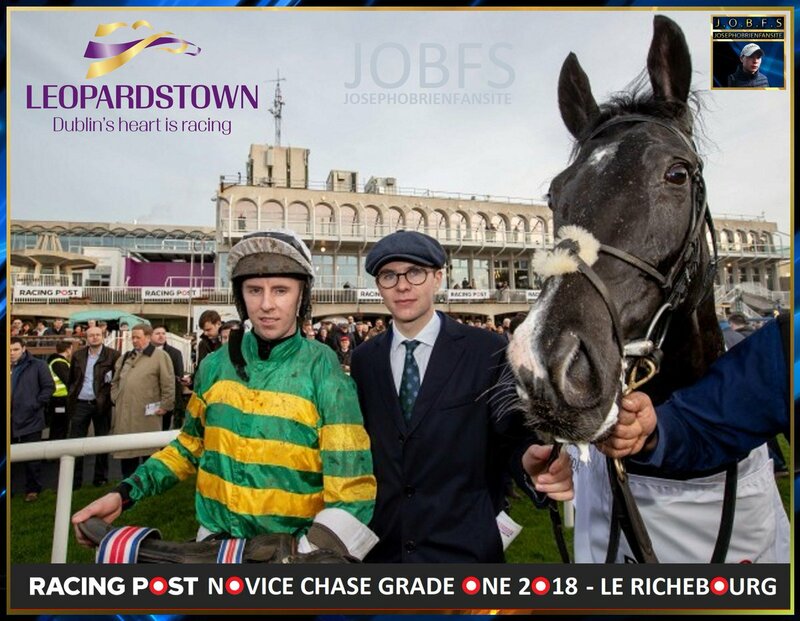 Joseph O’Brien’s seven-year-old took the honours by five lengths, on his first venture into handicap company, and that effort can be marked up because it was also his first appearance for almost a year. A 9lb rise may not be enough to stop him following up this weekend.